True to its mission of being a dedicated corporate citizen and supporting the community causes meaningful to its employees, Shook Construction is sponsoring the living history encampment at the Gathering at Garst. As it continues to grow, the encampment is adding more historical reenactors and participants who will be interacting with visitors showing what early life was like in Darke County. Visitors can hear the cannons, smell the gunpowder, and step back into the time with early settlers of Darke County. The Gathering at Garst is an annual event hosted on the grounds of Garst Museum the last Saturday and Sunday in July. Visitors come to learn more about our history and enjoy a wonderful venue of artists, antiques, craftsmen, food, and entertainment. 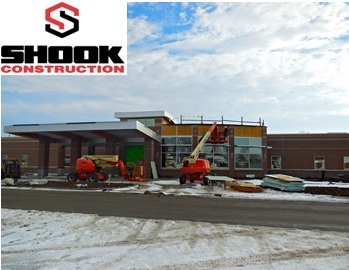 The event committee, participants, and the many visitors to the museum extend their grateful appreciation to Shook Construction for supporting the Gathering at Garst.